When you don’t have space in your closet for your unwanted used clothing, donation center American Kidney Services will pick it up from your home for free. The clothing and other items we collect raise money for the American Kidney Fund, whose programs help people with kidney disease and their families through difficult times. Donating to us is simple; just call us or fill out the online form to be added to our rotational pick-up list. We’ll call you when our drivers will be in your neighborhood collecting donations, and you will be able to leave your used clothing donation in a box or bag labeled “AKS” at the end of your driveway. You can also take your items to any of our hundreds of drop boxes. Kidney disease is a physically taxing chronic illness with costly treatments. Many people with chronic kidney disease and their families struggle to keep paying their bills in addition to their dialysis and other medical expenses. Some even face having to choose between treatment or paying their bills. By collecting unwanted items, American Kidney Service is able to raise money that the American Kidney Fund can use to provide direct financial aid to people struggling through impossible times. Your used clothing donation to us may be just a tiny sacrifice to you, but it means so much to kidney disease sufferers and their loved ones. We also accept donations of all kinds of household items, from toasters to nightstands. During our rotational pickups, we take smaller, easy-to-lift items, but you can schedule a special pickup if you have large furniture to donate. 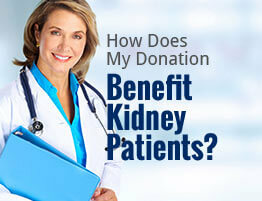 To learn more about what or how to donate to American Kidney Services, please contact us today. We’re happy to make used clothing donation as easy as possible for you.